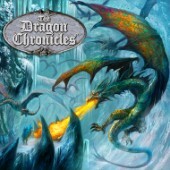 'The Dragon Chronicles' is an internationally acclaimed best selling book for wizard and dragon enthusiasts of all ages. The sequel, 'The Dragon Chronicles - Labyrinth of Fire' is due to be published this year in 16 languages across Europe, Australia and New Zealand. The book includes 13 full colour illustrations produced by Jan Patrik Kransy. With a strong licensing programme that followed the 1st book we are now looking for new licensees in all areas to cover the sequel.